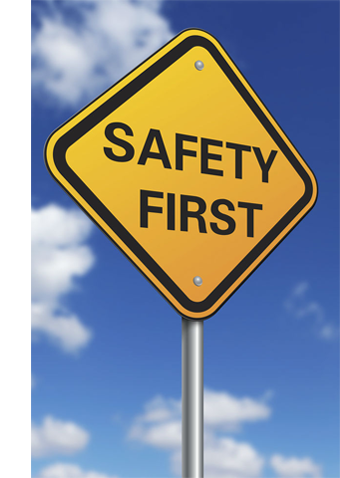 "Empowering people and business to create a healthy, risk averse workplace"
Stay Safe Handling are registered Physiotherapists specialising in injury prevention and injury management in the workplace. Since 2003 we have been providing injury prevention systems, injury management programmes and safe handling training with leading companies across a range of industries. Research confirms that the most effective way to prevent injuries in the workplace is to increase staffs’ awareness of the potential risks they face and engage them in the process of preventing them. We also understand that each organisation, their workforce and their business needs are unique to them and require a tailored solution. 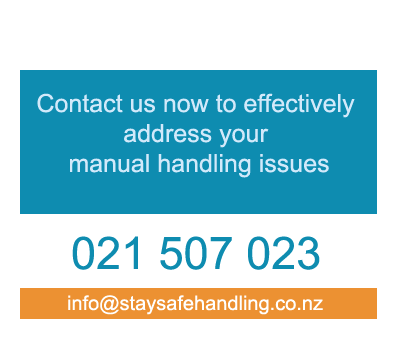 Proactive management of your manual handling tasks to prevent injuries and increase productivity and staff satisfaction. Programmes designed to ensure correct ergonomic workstation, office set up and behaviours to prevent discomfort and injury. Raise your staff's awareness of their handling risks and provide them with the tools to prevent injuries from their manual tasks. Our experienced registered health professionals work in partnership with your business and staff to produce tailored effective solutions that prevent injuries in your workplace. We provide you with a comprehensive assessment of your manual handling tasks involving your staff in the process, so as to identify and analyse the risk factors and develop effective ergonomic solutions including a tailored staff training package which will assist you to meet your legislative requirements. For your staff returning to work following injury or illness we can assist by designing a return to work plan in conjunction with those involved in the process that ensures a safe, supportive and sustainable re-engagement with their work tasks. Our speciality is in managing the risks involved with the moving and handling of patients or clients in hospitals, surgical centres, residential homes and home care. We can assist you in developing a comprehensive Safe Moving & Handling programme and provide you with a variety of options for patient handling training for your staff. Are your staff reporting any discomfort? If so we can provide an in depth assessment of their symptoms and work tasks to provide recommendations for effective management of their symptoms which may assist them to remain at work. We also provide annual discomfort assessments for all staff to assist with early injury detection and management, and to enable you to track and identify any injury trends. Our workplace Physios will provide your corporate and admin staff with a workstation assessment to address their posture, areas of discomfort and work habits and provide them with with a customised preventative programme to keep them free from discomfort, pain or injury. Those staff that are involved in manual handling are your “workplace athletes” and need to know how to warm up and stretch to prevent injuring themselves. We will design for your toolbox talks or shift handovers, a customised exercise programme designed to warm them up for their handling tasks and remind them of reverse postural stretches to use through the day. All Rights Reserved - 2019 Stay Safe Handling New Zealand.